Bass can be found in just about any depth of water, which can make fishing a bit of a challenge if you are not using the right techniques. Flipping and pitching are two techniques that are typically used to catch bass in shallow waters and in cover. Let’s take a look specifically at flipping and how it works. To put it simply, flipping is all about rod and line handling. The technique allows anglers to take advantage of shallow cover and work from a short distance. By design, flipping is quick and quiet, which means you can cover larger areas without scaring the bass away. Before you head out on the water, you want to make sure that you have the right gear on hand. When it comes to flipping, you need a rod that will suit the type of cover and the fish you plan on catching. Long rods that are in the 7’ to 8’ range are your best bet. In order for flipping to be effective, you’ll need a long rod. Taller anglers can easily handle an 8’ rod, but those who are shorter in height may prefer a rod closer to the 7’ range. Now that you have the right rod, you need to make sure you have the right lure too. Bass tend to make their way into thick cover for one reason – to feed. Their natural food source is crayfish, which is represented by jogs or a realistic crawdad bait. Flipping is all about boat positioning. Depending on the situation, you may have to push the bow right up into the cover. If the cover is not too wide, you can keep the boat outside. The latter situation is ideal because it doesn’t create as much noise or disturbance. 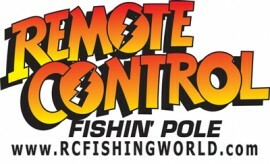 Start by pointing your rod away from the boat and towards your target. Drop the lure to the bottom and engage the reel. You want the rod to be parallel to the water and at a height that you are comfortable with. Make sure the line has a little slack and that the lure is comfortable resting at the bottom. Now, take hold of the line and keep your hand between the first guide and the reel. You want to pull the line to your left side and lift the rod tip. At this point, the bait is clear of the brush and the water. Now, gently, set the bait back into the water. Let it flutter down to the bottom. Keep an eye on the line as the only indication you may see is the line moving and jumping. Next Post:A Lure for Pike even Dummies can Catch Pike With!